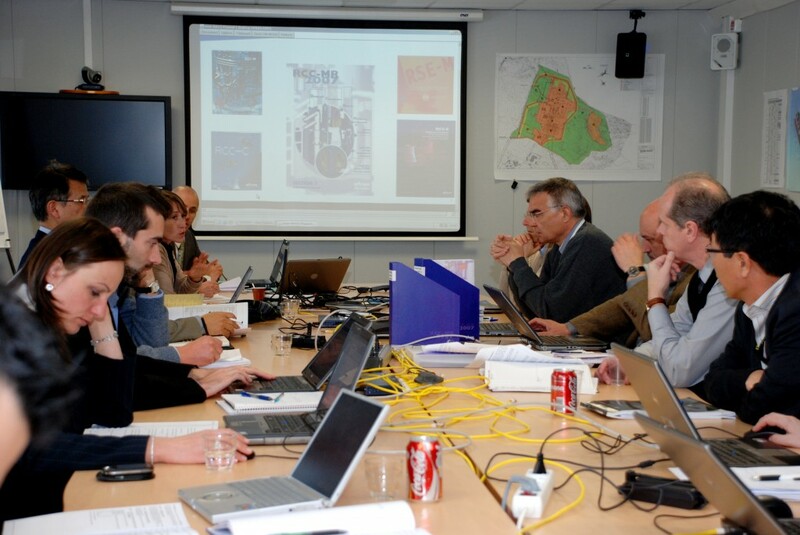 A meeting was held on 12 February to present the RCC-MR 2007, the Code upgraded by the European Member Party to design and manufacture the ITER Vacuum Vessel (VV). This Code has been updated recently taking into account the specificities of the ITER Vacuum Vessel (box welded double shell structure, low carbon, low cobalt stainless steel) and the requirements defined in the French regulation on Nuclear Pressure Equipment. More than 40 people participated in this all day meeting, amongst them representatives from the Domestic Agencies involved in the VV Procurement Arrangement and the responsible officers within the IO. In this meeting, the VV-Design, appropriate materials, welding techniques and the standards for final inspection were discussed. The use of RCC-MR for the ITER Vacuum Vessel has now been approved through DCR150. Training and further presentations to all teams and companies involved in the design, manufacturing and control are under discussion. A two day training prior to the next VV procurement meeting (VVPRO-6) in March is being organized. The RCC-MR 2007 document is available for IO staff in the IO library (Judith Campbell)or it can be ordered from AFCEN, the Mechanical Engineering Association which reviewed the document and took care of its publication. IDM document ITER_D_2825UT gives a general presentation of the code, the table of content and instructions to order copies for non IO teams.